Papa Murphy’s “Take ‘N’ Bake” Pizza is the fifth largest pizza chain in the United States. It is someway behind the giants that are Domino’s and Pizza Hut, and is a little closer to Little Caesars and Papa John’s. But make no mistake about it, even though there are 4 chains ahead of it, Papa Murphy’s is a sizeable brand and one that is loved across the United States. Papa Murphy’s is able to flourish alongside those dominant chains because it offers something a little different to this nation of pizza lovers. The Papa Murphy’s chain of pizzerias was established following a merger of Papa Aldo’s Pizza and Murphy’s Pizza. 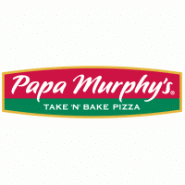 The first restaurant to carry the Papa Murphy’s name was established in 1995. But both of the forerunners to this chain had been in business for more than ten mores prior to that. With the experience and the clout of two successful chains behind it, Papa Murphy’s was able to flourish in what was an increasingly saturated marketplace. Papa Murphy’s has won countless awards over the years, showing that while it can not contend with some of the other chains in terms of size, it can beat many of them when it comes to taste. In 2006 it received its biggest accolade to date when it won a platinum award for Consumers’ First Choice. It has also won several “Pizza Chain of the Year”awards from Pizza Today. One of their most recent awards came in 2014 when Quick Service Restaurant Magazine honored them with the title of “Top Pizza Chain”. Papa Murphy’s is a “Take ‘N’ Bake” pizzeria. This means that the pizza is not cooked in the store, and is instead finished at home by the customer. The customer doesn’t have to do too much to complete the cooking process, and in return they get something that is piping-hot and straight out of the oven, even if it has been delivered across-town to get to them. You can place your order online or over the phone, before dropping by or driving by and picking it up. As well as a selection of pizzas, which come in a variety of sizes and with a variety of toppings, Papa Murphy’s also sell all kinds of sides. These include typical pizzeria sides like Cheesy Bread and Chicken Wings, as well as Cookie Dough, Cinnamon Wheels and more. Pizza chain secret menus are some of our favorites. We regularly eat off the Pizza Hut secret menu and love exploring new possibilities. Because Papa Murphy’s works a little differently, you might assume that there is no secret menu. But that couldn’t be further from the truth. There is a Papa Murphy’s secret menu, and there are as many menu hacks here as there are on the other pizzeria secret menus. A lot of this is down to the fact that Papa Murphy’s let you customize your pizza to the last morsel. You choose the size, the shape and the cut; you choose the toppings and the amount. It’s your pizza every step of the way, which means there are an endless amount of Papa Murphy’s secret menu possibilities. The Papa Murphy’s style of home-baked pizza may is a lot cheaper than what you would pay in a competing chain. But they are not much healthier. This is still pizza. It’s still bread, cheese and tomato. And as much as we hate to say it, it’s not very good for you. There are ways that you can reduce your calories, your salt and your sugar intake though. The first step is to make sure you know the nutrient content of the food that you’re ordering. Our Papa Murphy’s Nutrition Info page can help with that. This is up-to-date and contains a wealth of nutrition information for all Papa Murphy’s menu items. Here you will find some info on salads and other healthier menu options. If you look at the menu itself, you will also notice some options for vegans and vegetarians. Papa Murphy’s also offers a gluten-free crust. So, even if you can’t eat gluten, you can still indulge in a pizza of your choice from Papa Murphy’s. You need to pay an additional $2 for this crust and you need to make sure you specify this on your order. All of the Papa Murphy’s pizzerias are in North America and the Middle-East, split between the United States, Canada and the United Arab Emirates. As of late 2016, there are close to 1,500 stores in total. Many of these are spread across 38 states, with a handful in Canada and Dubai. The brand has grown fairly slowly over the last couple of decades, especially when compared to some of its rivals. However, within the first 4 years of operation, the Papa Murphy’s chain had expanded to include 500 locations. This rapid rate of growth did not continue, but they have grown steadily since those early years. The “Take ‘N’ Bake” method is considerably cheaper for the restaurant. It allows them to cut costs across the board, which in turn allows them to offer cheaper pizzas to their customers. This is the reason Papa Murphy’s is one of the cheapest chains out there. Simply put, if you want cheap pizza that is hot, delicious and baked fresh, then you can’t go much wrong with Papa Murphy’s. Of course, this option is rendered redundant for anyone seeking to grab a pizza to eat on the go or in the car. As a result, most of Papa Murphy’s customers are families, as well as those looking to eat at home. They also attract custom from caterers and party organizers, as the low prices allows them to save a sizeable sum of money when ordering in bulk. Because Papa Murphy’s is not considered to be ready-to-eat food, they can be purcahsed using food stamps. This makes for a great alternative to frozen pizzas, and one that is only a fraction more expensive. To see the full list of Papa Murphy’s menu prices, read our guide. This includes all of their pizzas, sides and more. It is updated all of the time to ensure accuracy whenever you read it.